A GREAT TOUR WITH GREAT PEOPLE! Take a boat from Stone Town to Prison Island. Encounter giant tortoises up close. See the dolphins in their natural environment. Visit the oldest mosque in East Africa. Swim with dolphins if you're lucky!. Enjoy a sunset cruise on a traditional wooden dhow. Watch the setting sun cast gold on the water. Snorkel along some of the best coral reefs Zanzibar has to offer. Sail on a Traditional Zanzibar Dhow. Enjoy a spectacular seafood lunch. Walk through a spice plantation and discover the spices of the island. Taste local tropical fruits and spices. Visit the Kidichi Persian Baths built in 1850 by the first Sultan of Zanzibar. Stroll on a boardwalk through the mangroves. Visit the turtle rehabilitation center. Spot Zanzibar Red Colobus monkeys, a very rare species only found in Zanzibar. Learn about the slave trade history. Visit Mangapwani ruins and caves. A trip to Zanzibar will open your senses to idyllic sand beaches filled with palm trees, rich aromatic air of the spice markets, and a chilled atmosphere to take things pole pole – meaning slowly in Swahili. Plan a holiday to Zanzibar to take advantage of its warm tropical waters for an underwater adventure, curvy alleys to witness unique architecture representing its culture or to be lost in the jungles to catch a sight of Red Colobus Monkeys, one of the rarest primates in Africa. There isn’t a single moment to lose! While Zanzibar is the name of the country, it is also the name of one of the country’s smaller (uninhabited) islands. Chances are you will spend most of your time on Unguja, the biggest island in the Zanzibar archipelago. Get ready to eat some of the spiciest food in the world! Popular as “the spice island”, Zanzibar was a spice plantation in the 18th century and continues to heavily flavour its dishes. Think you know how to tell time? Think again. 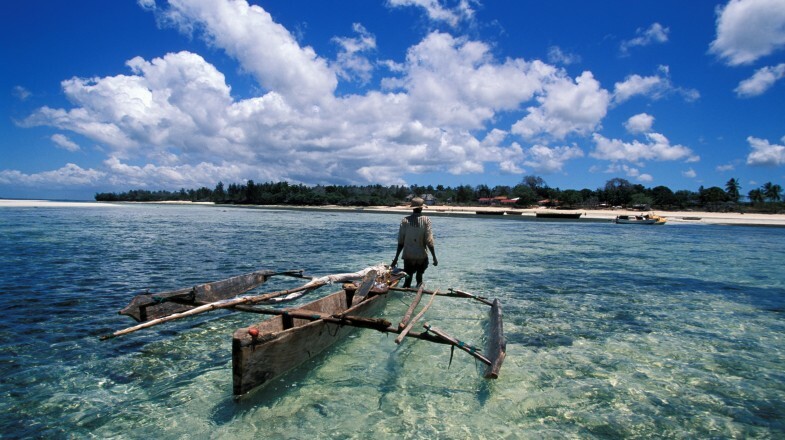 Zanzibar operates on Swahili time, which begins to be counted as the sun rises. This means that the 7:00 am you’re used to is in fact, 1:00am in Zanzibar (as the sun typically rises at 6:00am), and so on. Speaking of time, those in Zanzibar like to take things pole pole - the Swahili term for slow. Relax, don’t rush, and do as the locals do. Tea drinking is a way of life in Zanzibar. Be sure to try ginger chai (tangawizi), best if purchased from a roadside tea stand.